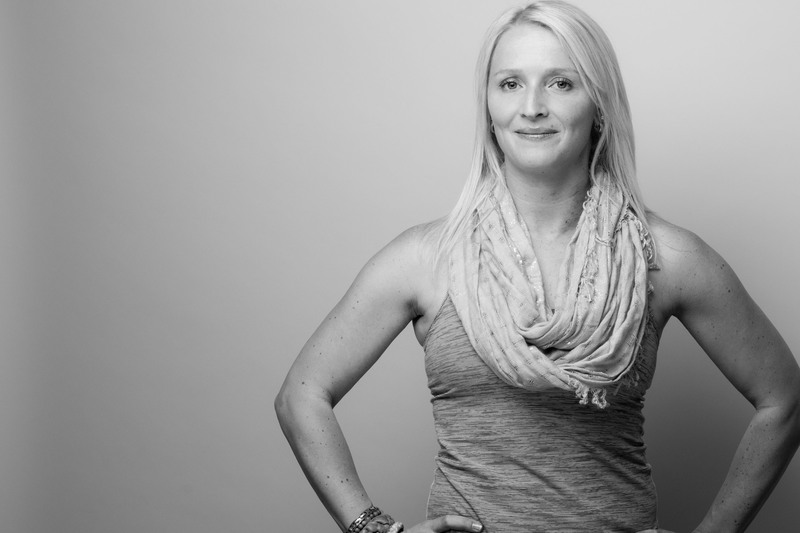 A leader in the Toronto fitness community, Heather is a marathon runner, indoor cycling coach, yoga teacher, triathlete, and all round lover of everything active. During the day she consults in public education developing national level resources for health and physical education teachers, and in the evening has founded Toronto’s most welcoming and accessible fitness community, Tribe. Heather love’s being active, promoting healthy, active living, and having fun in Toronto, and looks forward to sharing these great experiences with you! Heather believes fitness and physical activity are a platform to inspire greatness in each other and that it can be used to elevate communities to greatness as well.Heather believes the true benefits of fitness go beyond doing a body good, but the real gift comes from the state of mind which allows us to stop and give thanks, appreciate each other, and find the beauty in the everyday. Heather is honoured to work with a variety of high level brands including New Balance, Lululemon, Oakley, Vega, and Team Tiux. Heather takes pride in partnering with brands who conduct themselves with integrity, elevate their ambassadors and employees, and have strong ties to her local community. Heather also represents a variety of races including those with Canada Running Series, Toronto Triathlon Festival, and GranFondo Canada. Sought-after for her dynamic on-camera presence and expertise, Heather is the resident fitness expert on CH Morning Live and recently celebrated her 4th “New Year, New You” New Years episode. Often featured on the pages of leading health and fitness magazines, in newspapers, and online, Heather has been seen regularly in the pages of Best Health magazine, Sweat Equity magazine, and online for Canada Running Magazine. Heather has been involved in public education for over 10 years in the roles of elementary school health and physical education teacher and curriculum consultant with the HWDSB. For the past 7 years Heather have been honoured to work in the position of Ontario Health and Physical Education Curriculum Consultant with Ophea Canada. This has been an exciting role which has had her traveling across Canada providing professional learning for health and physical education teachers, as well as public health educators, and sport and recreation staff. Heather is also a sessional instructor at Brock University in the Faculty of Education as well as course developer and instructor for the Elementary Teachers Federation of Ontario. Heather is a published author who has written over 35 resources for health and physical education teachers on a variety of topics ranging from gymnastics, dance, yoga, mental health, human development and sexual health, healthy eating, and cyber safety to name a few. In 2015 Heather signed a book deal with Human Kinetics and her next book, Physical Literacy On The Move, will be available in print and online, in English and French, April 2017. SHARING YOUR COMMITMENT AND MOTIVATION WITH OTHERS. I believe fitness and physical activity are a platform to inspire greatness in each other and can be used to elevate communities to greatness as well. I believe the true benefits of fitness go beyond doing a body good, but the real gift comes from the state of mind which allows us to stop and give thanks, appreciate each other, and find the beauty in the everyday. I love this comment!!!! This is so true, fitness grows a thankful heart! Exciting and engaging blog, Heather. I will enjoy following you. Of course, I love the inclusive nature of your work. Tribe and Tribes go together.